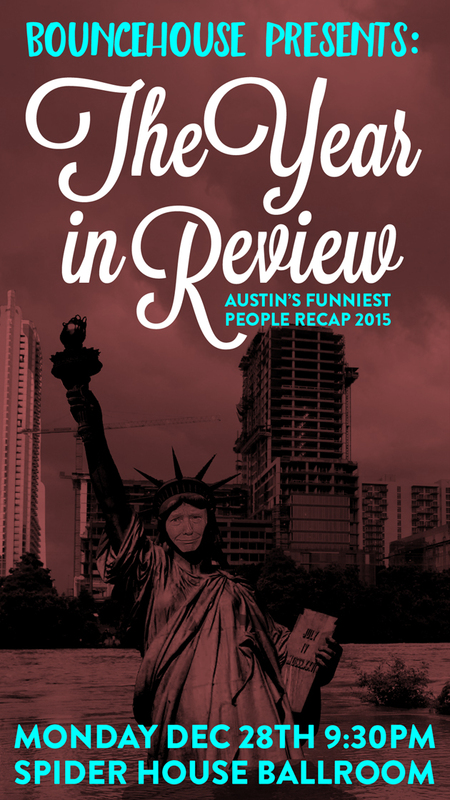 This is one of my absolute favorite shows in Austin, the annual Year in Review show. Joe Hafkey and I hosted it the last two years and now Aaron Brooks and Danny Palumbo take the reins. More than 40 comedians recap the year with short Weekend Update style jokes. It’s a great mix of stand-ups, improvisers, sketch writers, and comedians in between. Show details are here.